Put heads in beds at your hotel, bed & breakfast, motel, or inn! 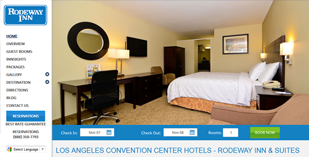 INNsight.com can power your hotel’s responsive website, and your social media using our Digital Marketing System and provide the tools to help you achieve ADA Title III and bring your website up to WCAG 2.0 standards. We will layer on our SEO, SEM, and Local Search services to drive traffic to your optimized hotel website. Premium online marketing solution with customized website design to capture the uniqueness of your vacation rental, apartment, or home and help sell more rentals. INNsight.com can power your vacation rental’s responsive website, and your social media using our Digital Marketing System. Tired of your poor performing restaurant website? Get cooking with INNsight’s Digital Marketing System for Restaurants & Bars. We will provide you the tools to easily set up and manage your menus, enable online ordering and table bookings. Don’t settle for an ineffective template website. The complete set of tools for Salon & Spa owners is finally here so you can nail sales. INNsight will custom design your salon, spa, or barber shop’s responsive website to show off your services and products and book more appointments. Need help designing your Golf Course website so it can book tee-times? INNsight.com can power your golf course's responsive website with a Free tee-time booking engine to drive more golfers to your course and tee off sales like never before. Show off your winery like never before with a website and digital marketing Powered by INNsight. We will custom design your winery’s website and enable you to take wine tasting appointments directly on your website. Easily manage your tasting menus, show off specials and packages, and provide a taste of your winery online.